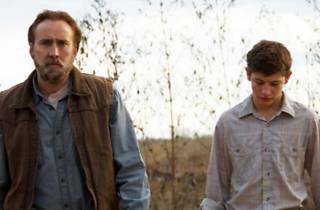 The final night of American Cinematheque’s three-night Nicholas Cage tribute will end with Cage reuniting on screen with director David Gordon Green. Their latest collaboration, Joe, is an adaptation of Larry Brown’s 1991 novel. Set in Texas, Joe sees Cage starring as ex-con Joe Ransom, who finds purpose in guiding a troubled teen (Tye Sheridan) amidst the gritty, blue-collar South backdrop. Viewers will get a sneak peak of tense, gripping drama that is slated for an April 11 release. Cage and Green will also be on hand after the screening answer questions from fans.